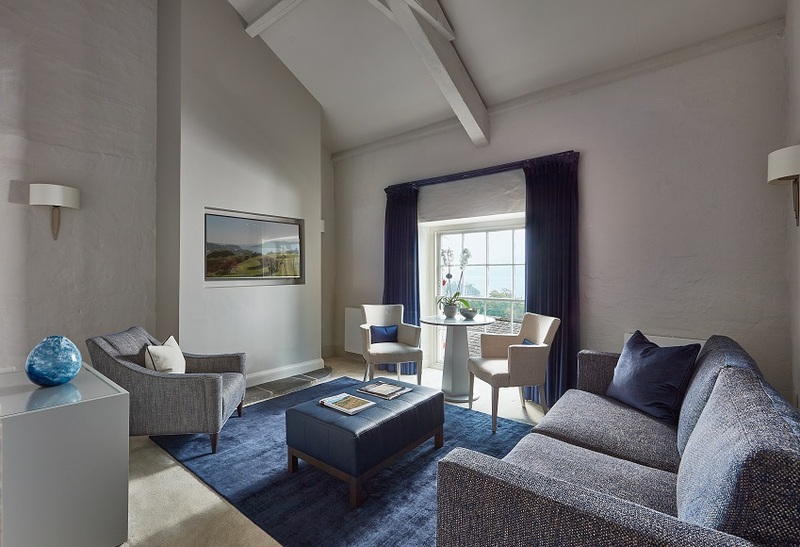 Four luxurious suites set around the grounds, a short distance from the main house. Each has its own individual style, often making the choice between them all the more difficult. 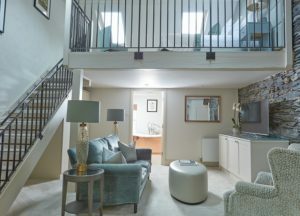 Set over three floors, this stunning suite is something special. 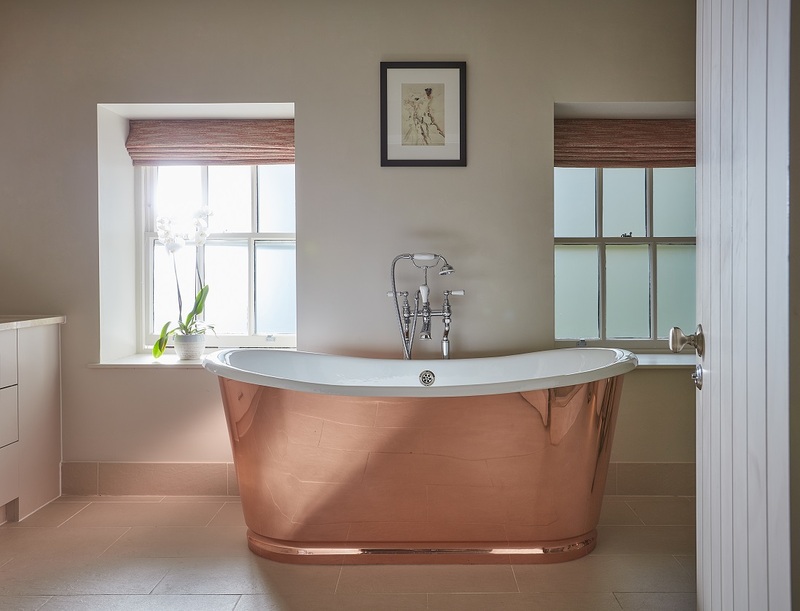 The bathroom is located on the ground floor, which features Crema Marfil marble with a large sunken bath and a separate walk in shower. The sitting room is located up a short flight of stairs and is decorated in a luxurious combination of soft neutrals contrasted with rich, navy fabrics. There is a large window with stunning views over Lake Windermere. 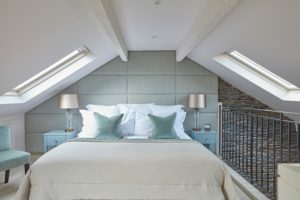 The top level houses the bedroom with a super-king size bed. This suite can accommodate dogs. A cottage suite set on three floors in a similar style to Kentmere. 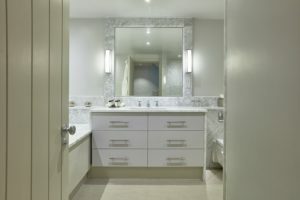 The bathroom is located on the ground floor with a large sunken bath and separate walk in shower finished in Carrara marble. 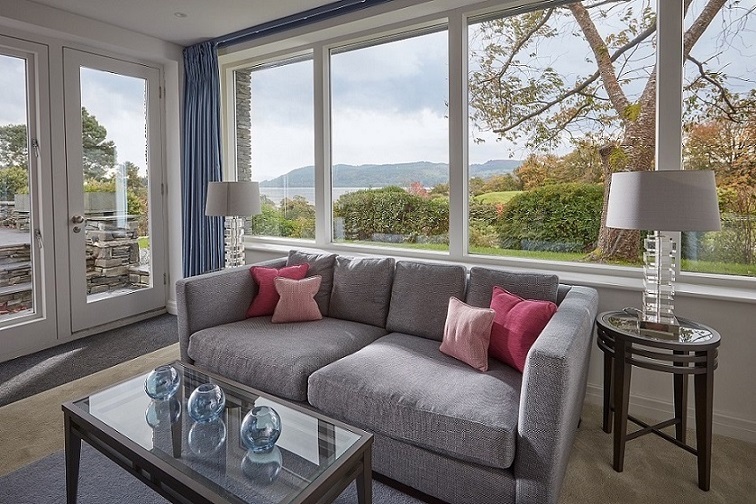 The main feature of the sitting room is the large picture window facing south west, providing breath taking views of Lake Windermere. It is beautifully decorated in soothing soft grey fabrics with accents of pale pink. 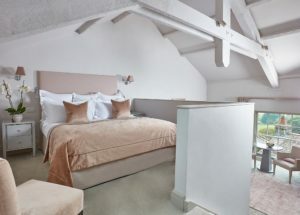 The top level houses the bedroom containing a super-king size bed. Located at the top of the estate, this large cottage is set on two floors and has its own private patio overlooking the lake. 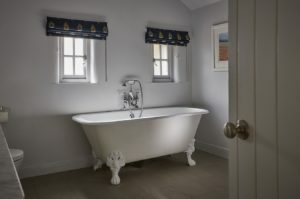 The ground floor of the cottage consists of a large sitting room and bay window. A thick slate wall is complemented with furnishings in neutrals and soft aqua. The highlights of the spacious bathroom are the beautiful freestanding copper bath, double vanity unit and separate walk in shower. Upstairs in the bedroom, the wrought iron railings give an open, airy feel to the space. A luxurious padded wall doubles as a headboard to the super-king size bed. 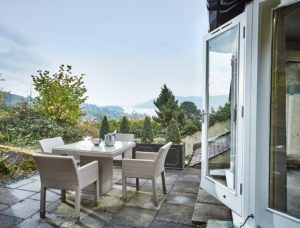 Blea Tarn is a cottage located close to the main house with stunning views of Lake Windermere and Samling gardens. 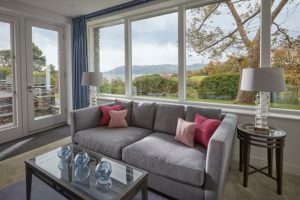 The sitting room has large windows and is decorated in lavender blues, inspired by the view of the lake. A private patio enhances the unique feeling of this cottage. 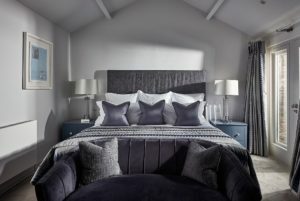 The inspiration of the lake continues into the bedroom which is furnished in slate blue. A very popular room, it benefits from an emperor size bed and doors to the private patio. 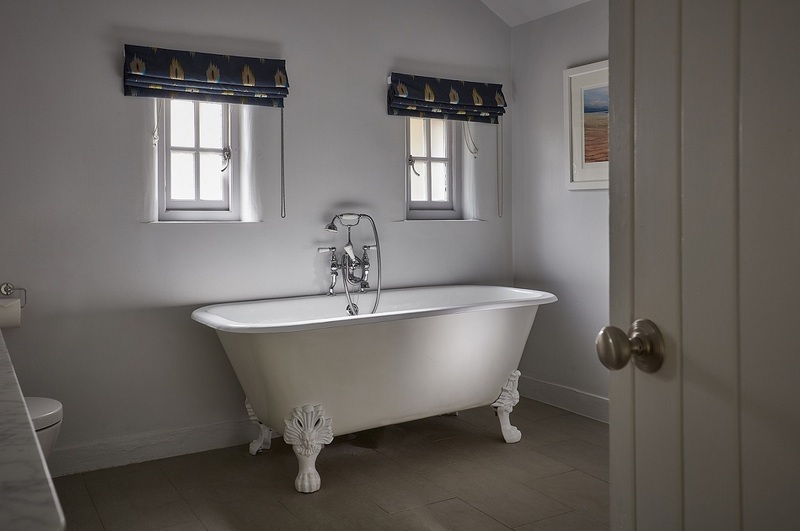 The sense of space continues into the large Carrara marble bathroom with its stunning roll top cast iron bath. 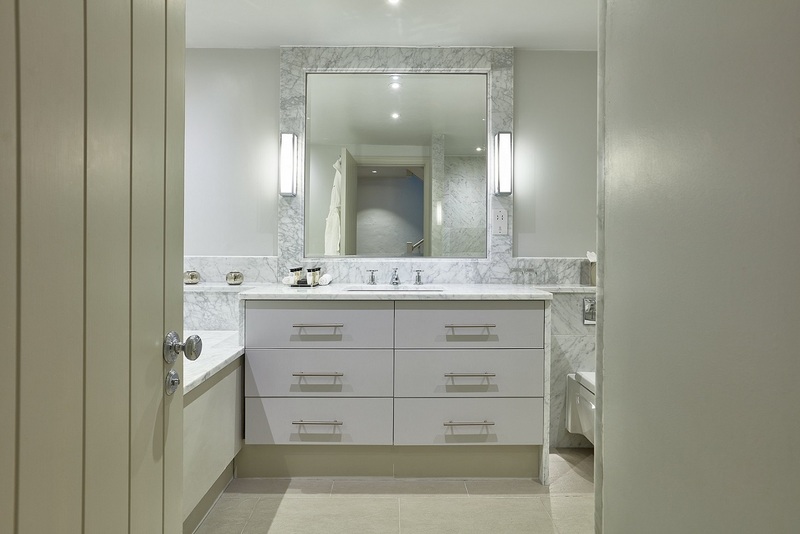 The bathroom also enjoys a spacious walk in shower and double vanity unit. 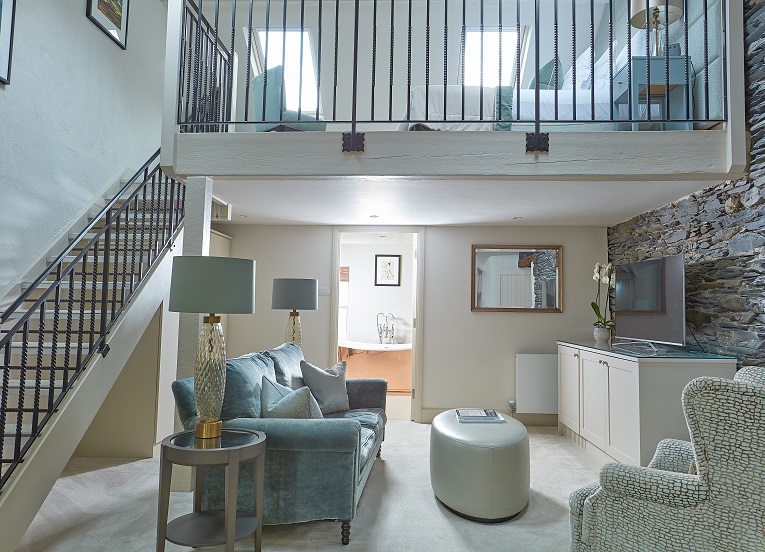 Blea Tarn can be booked as a suite or as an interconnecting room with the Suite/Classic Double Buttermere.